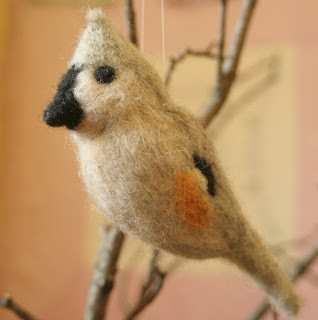 Continuing on our quest to produce a sculpture a day, we bring you...the tufted titmouse. The boy says he is not gray enough, but these colors pretty closely match the Audubon bird book. I'll try for a shade darker the next time and see if that pleases him. Last year I had a ton of titmice around the house, but this winter only one or two. I wonder what causes the variation from year to year.